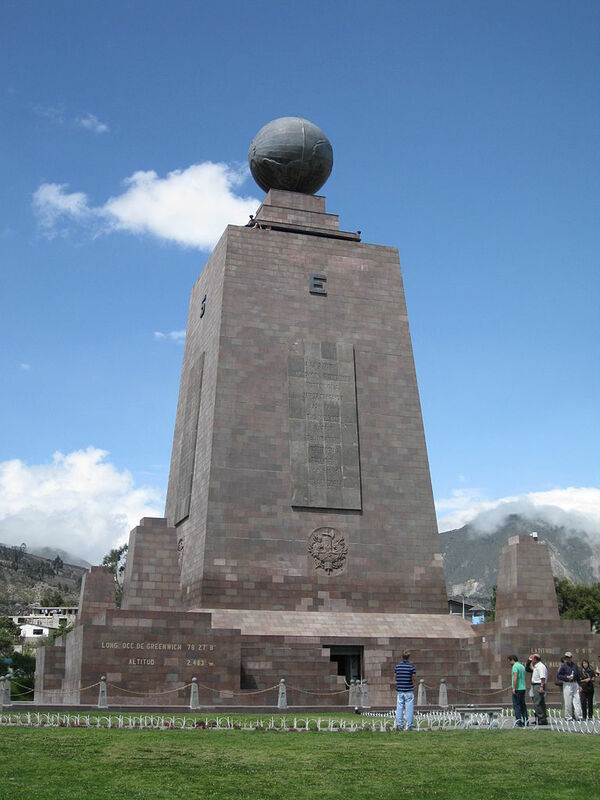 The monument is 30 meters tall and was constructed between 1979 and 1982 by Pichincha’s Province Council to replace an older, smaller monument built by Government of Ecuador under the direction of the geographer Luis Tufiño in 1936. It is made of iron and concrete and covered with cut and polished andesite stone. 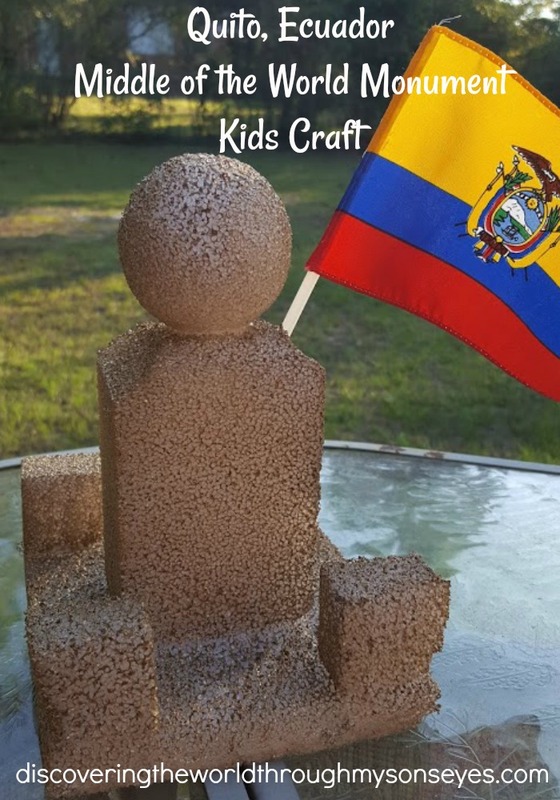 However, since a trip to Ecuador is not in the future little one and I decided to make our very own Middle of the World Monument. All you need is craft foam, paint (I ended up using gold spray paint), hot glue, plastic ruler, and/or butter knife. Measure 5 inches of the large foam and cut with either the ruler or butter knife. 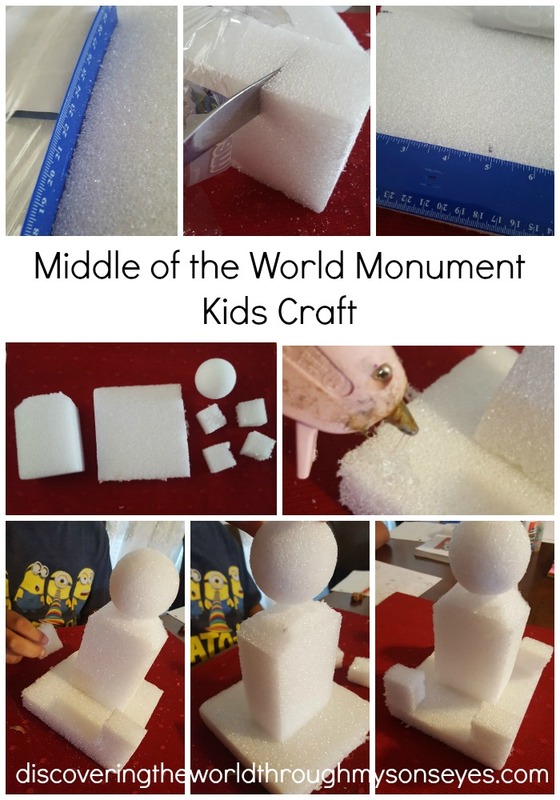 From the medium rectangular foam cut off an inch and cut into 4 small pieces. The remaining medium rectangular. Trim off the sides at the top. 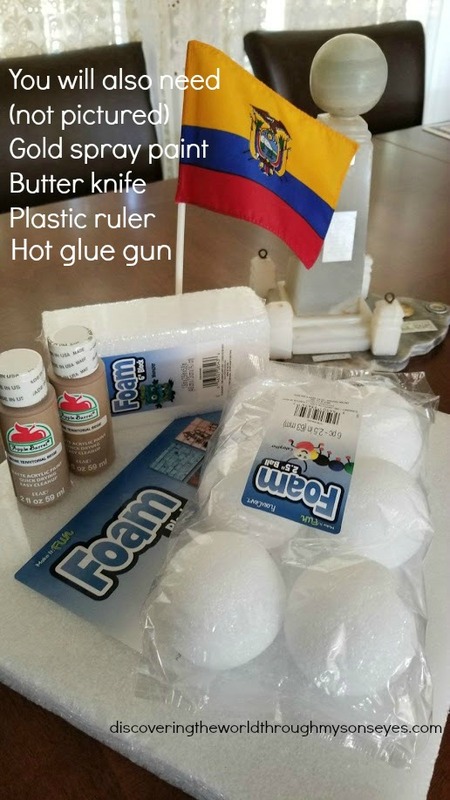 Hot glue the pieces and then spray paint! It’s super easy! If you’re doing this with younger kids (mine is 9 yrs. old) make sure you supervise them with the hot glue, and butter knife. The most fun part for my son was spray painting it! You can also have the little ones paint with a painting brush too. 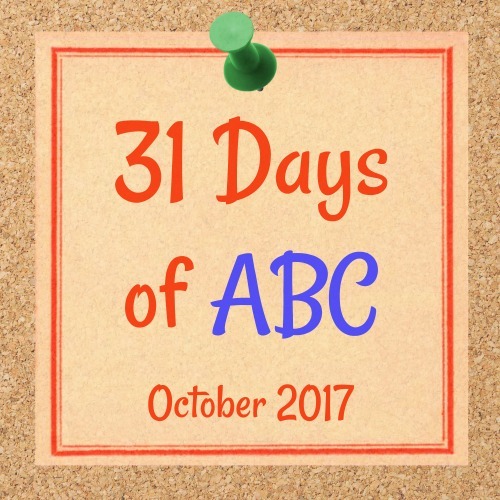 This post is part of Leanna from All Done Monkey’s 31 Days of ABC 2017 edition!